Hold images in an AES-encrypted library. 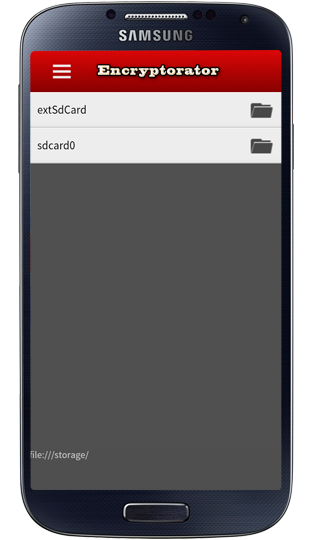 The Encryptorator is a mobile app that secures images within an encrypted database. 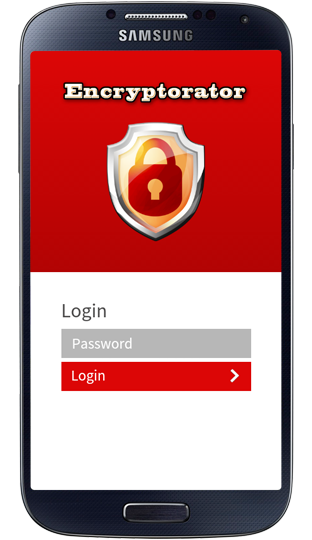 The application requires a login – stored as an SHA3 hash within the app – which is the key to un-encrypt the images which are themselves AES encrypted. Optionally you may store images un-encrpyted yet still have the images behind the application’s login screen. 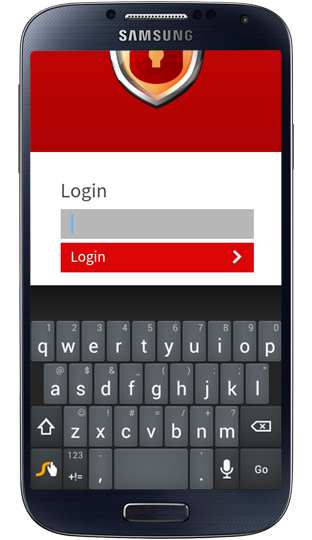 With both the password and data encrypted your data is secured and can’t be seen even if the data is copied from your mobile device. 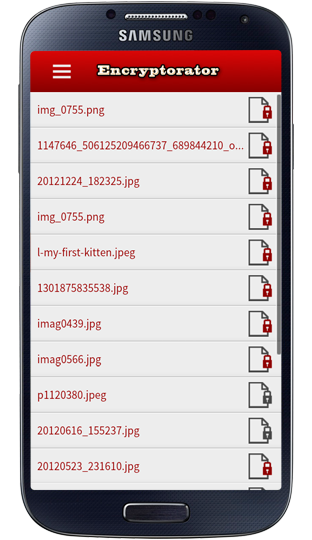 Secure images of any kind – PNG’s, JPEGs or GIFs. 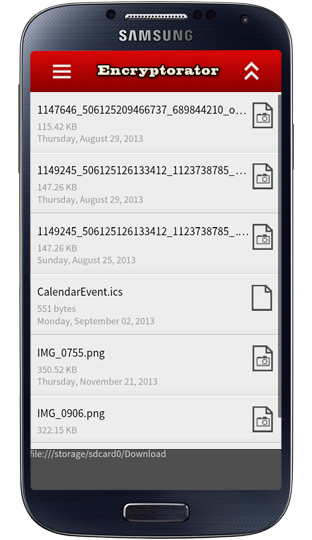 Once an image is in the database there is no current facility to export it. There is no password recovery mechanism – and if there was one it wouldn’t help you – the password is the key used to encrypt the images. Without it the images cannot be decrypted. Your data stays on your device under your control. That means it is up to you to remember your password. 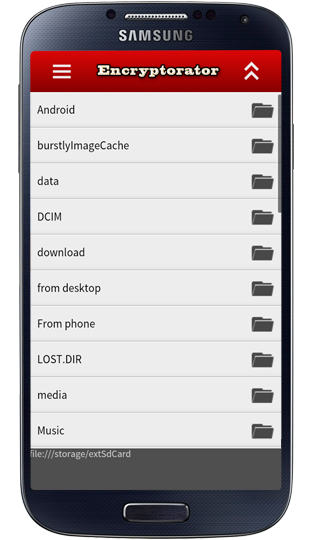 Clearing the app’s data from Android’s application manager will delete the database. Images larger than 3MB are not supported. The larger the image the longer it takes to encrypt/decrypt: be patient. 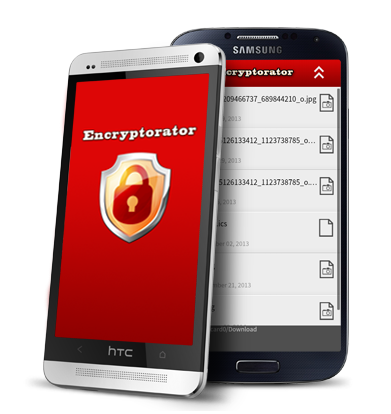 The Encryptorator (the mobile application), is provided “as is”. Rick Luna (aka rickluna.com) operating under the Brainstem Apps name makes no warranties, expressed or implied, and hereby disclaims and negates all other warranties, including without limitation, implied warranties or conditions of merchantability, fitness for a particular purpose, or non-infringement of intellectual property or other violation of rights. Further, Brainstem Apps does not warrant or make any representations concerning the accuracy, likely results, or reliability of the use of the mobile application. In no event shall Brainstem Apps or its suppliers be liable for any damages (including, without limitation, damages for loss of data or profit, or due to business interruption,) arising out of the use or inability to use the mobile application, even if Brainstem Apps or a Brainstem Apps authorized representative has been notified orally or in writing of the possibility of such damage. 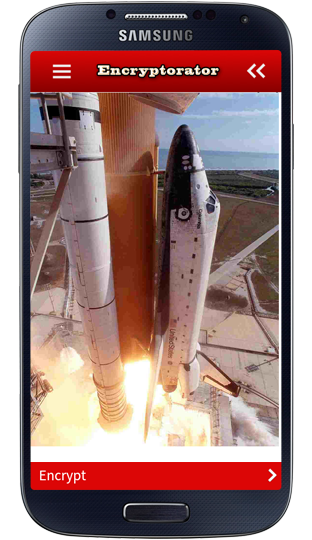 The mobile application could include technical, typographical, or photographic errors. Brainstem Apps does not warrant that any of the materials within the mobile application are accurate, complete, or current. 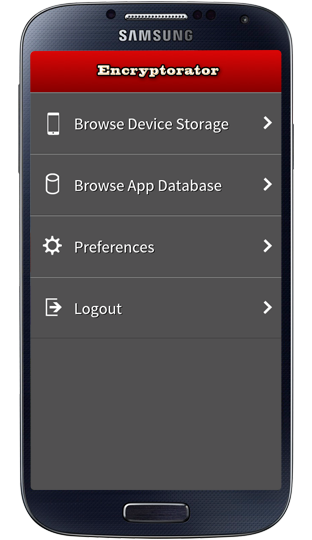 Brainstem Apps may make changes to the mobile application at any time without notice. Brainstem Apps does not, however, make any commitment to update the mobile application. Brainstem Apps may revise these terms at any time without notice. By using the mobile application you are agreeing to be bound by the then current version of these Terms and Conditions of Use. Any claim relating to the mobile application shall be governed by the laws of the State of Indiana without regard to its conflict of law provisions.